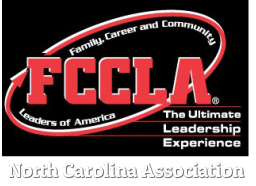 ​THANK YOU FOR TAKING THE TIME TO BE A CONSULTANT FOR ONE OF THE MANY FCCLA COMPETITIVE EVENTS. ​EACH CONSULTANT HAS A FILE FOR THEIR EVENT LISTED BELOW. PLEASE GO TO YOUR EVENT NAME AND CLICK ON THE FILE ICON. 1. GENERAL INFORMATION - This is an overview of information for the consultant. Everyone gets one of these. 2. EVALUATOR FILES - This file gives you information you will need to review with all evaluators prior to the beginning of the competition. Although there will be an overview at the Breakfast, you need to review over this information with them also. 3. EVENT INFORMATION - This is about your specific event. Each event has specific guidelines to assist you with running a smooth event. Embracing technology there will be no face to face Room Consultant meeting before Opening Ceremony. ​Please view the NC FCCLA SLC Room Consultant Online Training Video (located below) prior to coming to the State Leadership Conference. This year we have combined all of the information you need into a general folder. Please click on the red button below to access the Room Consultant Folder and print a copy for you have at the State Leadership Conference. Room Consultants: Click on the black button below to access the file you will need at the State Leadership Conference. Please scroll through the events and find the one(s) you are assigned to and print a copy of your event information for you to have at the State Leadership Conference. ​PLEASE READ ALL THE INFORMATION PRIOR TO STATE CONFERENCE. ANY QUESTIONS PLEASE CONTACT MS. JOHNSON AT jljohnson2@msn.com.